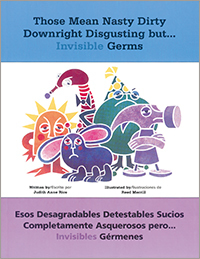 Encourage good health habits in children with this delightful book. Playful and colorful illustrations show the germs that cause illness and the importance of hand washing for good health. It includes health information for teachers and caregivers. Bilingual English/Spanish.